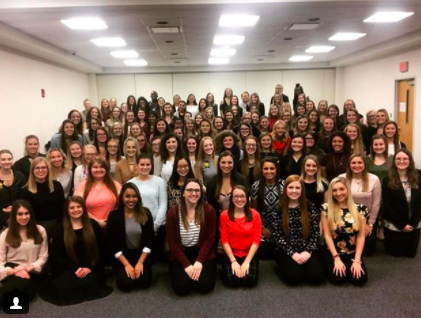 Hello from the Alpha Mu Chapter of Lambda Kappa Sigma at The University of Toledo! We do these things through our commitment to sisterhood, leadership, service, and scholarship. We are very active on campus, and recently added 39 new members during the 2017/2018 school year. We are looking forward to another large recruitment class and helping to improve not only the profession of pharmacy, but to promote strong women in general. Our philanthropy is Project Hope. Project Hope works to provide sustainable health care available for people all over the globe. They not only educate health professionals, but work to strengthen the health systems and fight diseases such as TB, HIV/AIDs and diabetes.